Today, Ubisoft announced that “Resistance,” Update 1.8 for Tom Clancy’s The Division will launch simultaneously on PlayStation®4 computer entertainment system, Xbox One and Windows PC platforms tomorrow, December 5th. Coinciding with the release of Resistance, The Division Free Weekend is coming to all platforms from December 7th to December 10th. Additionally, all The Division owners will have free access to all of the expansions included in The Division’s Season Pass (Underground, Survival, and Last Stand) from December 5th to December 10th. Watch the Tom Clancy’s The Division: 1.8 Free Update Launch Trailer HERE. Tom Clancy’s The Division is now available for Xbox One, PlayStation 4 and Windows PC. For more information, please visit http://www.thedivisiongame.com. Today, Ubisoft announced that Update 1.7 for Tom Clancy’s The Division will be available tomorrow, August 15th. The update will be free for all players and release simultaneously on consoles and Windows PC. Survival is part of Tom Clancy’s The Division Season Pass and can also be purchased separately. In conjunction with the free DLC weekend, there will be discounts on Tom Clancy’s The Division Standard and Gold editions, Season Pass and standalone expansions. For more information, please visit the games official website​. Today, Ubisoft announced Tom Clancy’s The Division kicks off a free weekend, May 4th 2017 until May 7th 2017 on Windows PC, and until May 8th 2017 Xbox One and PlayStation® 4 computer entertainment system. Xbox One: 04/05 at 7AM UTC to 08/05 at 7AM UTC. PlayStation 4: 04/05 at 7AM UTC to 08/05 at 7AM UTC. Uplay PC: 04/05 at 5PM UTC to 07/05 at 8PM UTC. To coincide with this free weekend, there will be discounts on Tom Clancy’s The Division’s Standard and Gold Editions on all digital stores. 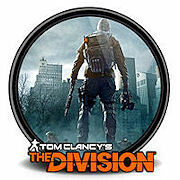 Please visit www.thedivisiongame.com/freeweekend_news for downloads and detailed information about the Tom Clancy’s The Division free weekend. All progress from the free weekend will carry over to the full game if players purchase it. The current free trial offer, which gives players full access to the main game until they reach level 8 or complete six hours of playtime, will be on hiatus during the free weekend but reinstated once the free weekend promotion ends. Players who have downloaded the free trial before May 4th will see trial restrictions lifted until the end of the free weekend. Tom Clancy’s The Division is now available for Xbox One, PlayStation 4 and Windows PC. For more information, please visit the games official website​. In Expansion III: Last Stand, we’re adding new ways to compete with other players and a new way to experience the Dark Zone, in a brand new separate game mode! Compared to the open and unstructured nature of the Dark Zone you’ll find in the game right now, Last Stand is session based and features clear objectives and win conditions, while still incorporating aspects of the Dark Zone such as PvE enemies and Landmarks. When the situation in the Dark Zone escalated, as the outbreak spiraled out of control and all semblance of civilization collapsed, the Joint Task Force was forced to withdraw from the area, leaving behind important tactical terminals; SHD tech data relays loaded with operational information. Now, Rogue agents are closing in on those relays and if they manage to get their hands on the information, it would be catastrophic for the SHD and the mission to save New York. It will be your job, together with a group of seven other Division agents, to stop that from happening. Find out more about the Last Stand expansion here via the Tom Clancy’s The Division Intelligence Annex. Today, Ubisoft announced that the Underground expansion for Tom Clancy’s The Division is now available on Xbox One and Windows PC. Underground is available with the Season Pass or can be purchased separately for £11.99, and will be released for the PlayStation 4 computer entertainment system on August 2. Check out the new Underground launch trailer here. In the Underground expansion, agents must fight a war on two fronts. Below the streets of New York, enemy factions are regrouping and preparing a large-scale attack. Players will confront these threats with up to three friends as they explore randomly generated dungeons comprised of subways, tunnels and sewers and recover powerful loot. While in Hell’s Kitchen, the Dragon’s Nest Incursion offers the biggest challenge to date where, the Cleaners are developing a devastating new weapon and have set their sights on the Base of Operations as their first target. In addition, starting today, Update 1.3 will add new free content for all players on Xbox One and Windows PC, and will then be available from July 5th on PlayStation 4 system. For more game, expansion and patch information, visit the Tom Clancy’s The Division website. The labyrinthine subways and tunnels of New York are an ideal setting for The Division’s first paid expansion, which introduces Underground Operations – special missions that consist of randomized dungeons and objectives. I had a chance to check out one of these missions at E3 2016, specifically a quick 1 Phase Operation, and came away wanting to dig deeper into the depths of Manhattan’s underbelly. But before getting started, our squad leader gave us a quick tour of the new Tactical Operations Center – an extension to the Base of Operations. Watch the new Underground DLC Gameplay trailer here. As a direct result of this improved cheat detection, last month we announced “the biggest wave of suspensions and bans to date”. This marked the beginning of an intensive campaign during which actions were taken against a total of over 30,000 accounts, including 3,800 permanent bans. This led to a significantly improved experience, particularly in the Dark Zone. Following this campaign of suspensions and bans, it also became clear that while huge progress has been made in terms of cheat detection, our 14 days suspension on first offense policy has not been dissuasive enough. Judging from your feedback, and based on what we witnessed when cheaters came back to the game, we have now decided to push our policy one step further: we will now start applying permanent bans on first offense when players are caught using cheat engines and we will communicate clearly when new ban waves are taking place. Today, Ubisoft announced that the second content update for Tom Clancy’s The Division is now available for all players on Xbox One, PlayStation 4 computer entertainment system and Windows PC. Conflict is part of the post-launch plan aimed at keeping the experience fresh for players by introducing new ongoing content. This second free update offers a new incursion, High Value Targets, and features to make the journey through mid-crisis New York even more challenging and intense. New Incursion “Clear Sky”: This new incursion takes players to Columbus Circle area, where they face an overwhelming force of Rikers who are now in full control of the Manhattan airspace. Players need to team up to take back the area and secure the supply route. Search and Destroy Missions: Once all side missions and encounters have been completed in a named zone, Search and Destroy missions lead players to groups of enemies located in the open-world. High Value Targets: After completing Search and Destroy missions, players are granted with valuable intel to hunt down new enemy leaders who have appeared all over Manhattan. Final Measure – Defensive set, enables players to defuse hostile grenades. Hunter’s Faith – Powerful long range set, deals severe damages to enemies. Lone Star – Damage per second gear set, increases the ammo capacity. Predator’s Mark – Support set, enables players to fight enemies at range and increases damage. Hijack Extractions: Now players have the ability to interrupt an extraction by cutting the rope and attempt to acquire the fallen loot bags. But this is not without risk, as this action will instantly mark them as Rogue. Sealed Cache: Sealed Caches can now be dropped by named enemies in the Dark Zone. The content of these caches remains mysterious until they are extracted and can include gear, Division Tech, and Dark Zone funds. Player Stashes: Player stashes are now available in every Dark Zone checkpoint. ISAC Assignments: These weekly assignments are now included in the map overview. Also with this update, weekly exclusive rewards will be introduced as well as free vanity items. For more game information, visit the Tom Clancy’s The Division website. The Division team has released the first details on the free Conflict update – the second of two free updates for The Division – which arrives May 24 on Xbox One, PS4, and PC. One of its biggest additions is Clear Sky, a brand new Incursion in Columbus Circle. Pitting Division Agents against Rikers, Clear Sky challenges you to take back a formerly LMB-controlled anti-air missile site, restore safe passage to the skies over Manhattan, and reclaim supply drops stolen by Rikers. Another new feature coming in the Conflict update is high-value targets (HVT). The HVT officer inside your base of operations will provide you with a list of these targets, along with a description, their level, and the recommended gear score you need to engage them. You’ll have a limited amount of time and only one chance to take down these targets. The Dark Zone will see some changes that are going to make extractions even more intense than they were before. Specifically, Agents will now have the option to hijack your loot. This means that a player can run to an extraction rope and cut it, causing all of the loot to fall to the ground. Click here to view the Update 1.2: Conflict trailer. Incursions, the first of two free updates for The Division, is now available on Xbox One, PS4, and PC. This new 1.1 update adds several new features to the game – the most notable being the Falcon Lost incursion. This new area within the game pits Division Agents against wave after wave of LMB soldiers who guard an important water treatment facility. Also arriving with the Incursions update are Dark Zone supply drops (that contain uncontaminated gear) and assignments, which give players rewards for completing a series of designated tasks that change periodically. In addition to these activities, players will have access to player trading and new gear sets with all-new perks and bonuses. Watch the Tom Clancy’s The Division Update 1.1 trailer here. Today also marks the arrival of Operation ISAC. Every Tuesday, players will get in-game missions from Simon – a technician in charge of the only ISAC system node in New York City. Completing these missions will give rewards. Watch the Operation ISAC trailer here. For a full rundown on what’s included in the Incursions update you can check out this story here.